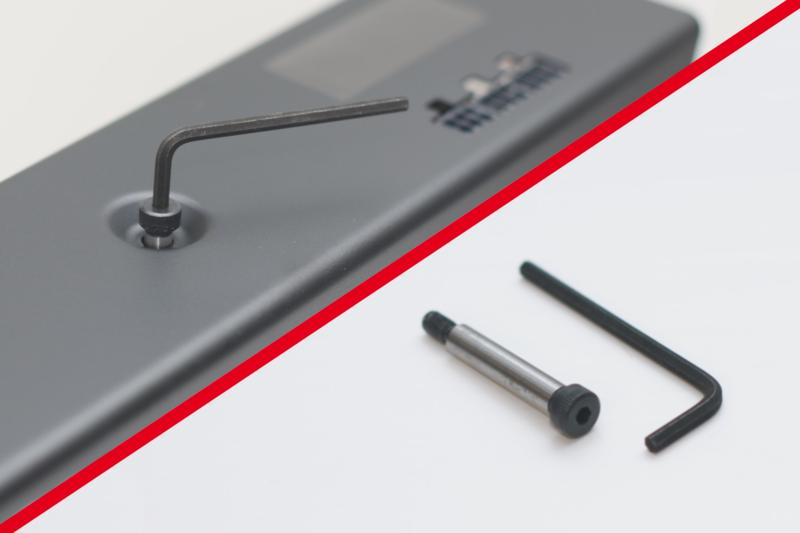 There's a few reasons you might need to disassemble your Obelisk Slim. Maybe you're pulling a board out to conduct a repair on it, installing a board into an empty Obelisk Slim chassis, or repairing your control board. No matter why, this guide will walk you through safely completing this process. A 1/8 inch (3.175 mm) hex wrench. You can use the one supplied with your Obelisk Slim. An ESD (electrostatic discharge) safe surface. First make sure that you're in the right place. 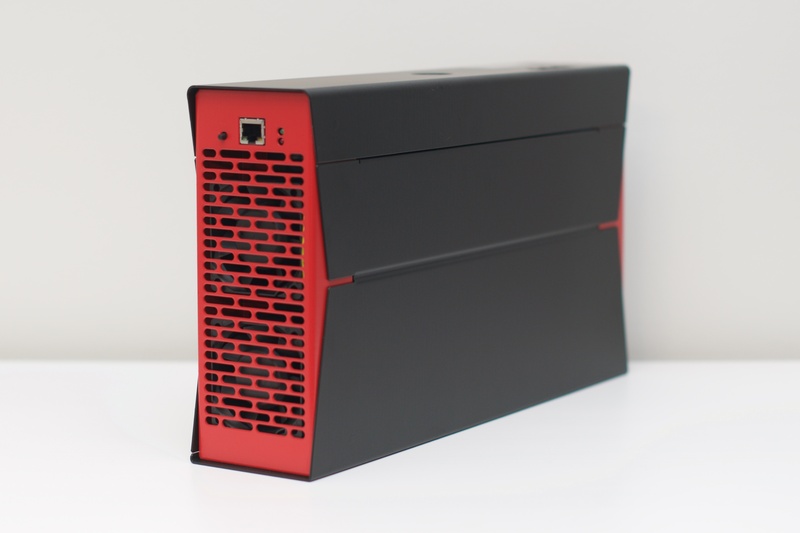 This article deals with the Gen 2 Obelisk Slim. These were shipped in Batches 2-5 of Obelisk preorders. 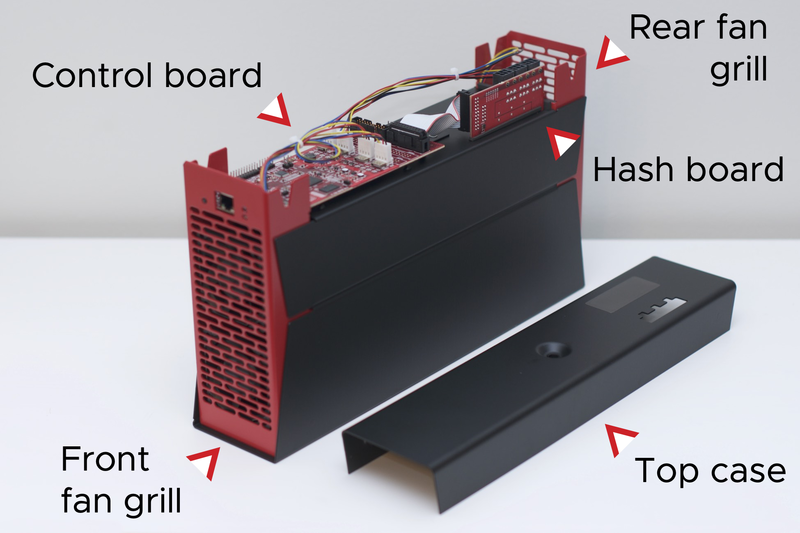 This process involves dissembling your Obelisk Slim to expose the hash board, then carefully removing and replacing the board into your unit. At no point in these instructions will you be removing the front fan grill. 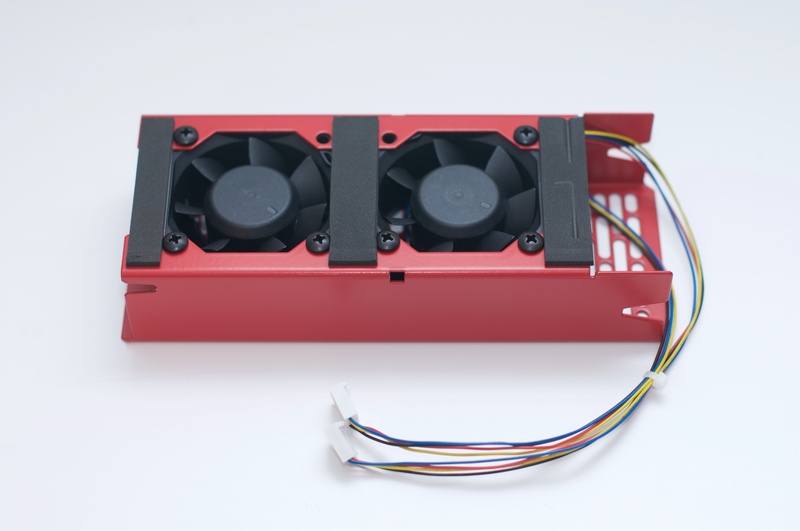 Removing the front fan grill while the control board is installed could result in damage to the bottom of the control board. Unplug the Ethernet cable from the front fan grill. If you are removing or inserting hash boards, continue on with step 5. 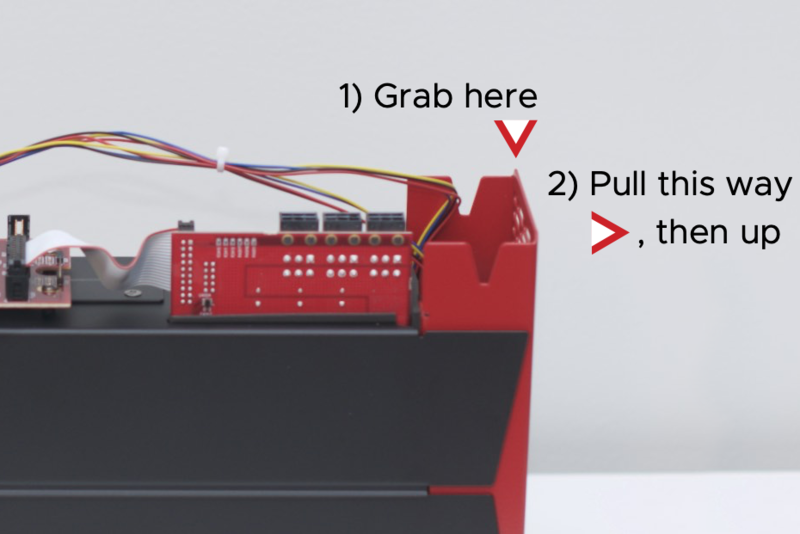 Any other repairs, like working with the control board or replacing the ribbon cable, don't require you to proceed any further and you can move on to those instructions. You're close, but you need to remove the rear fan grill before you can remove or insert hash boards. To do that, disconnect the rear fan grill power cables. Here's a close up view of what you should be seeing. Gently disconnect the rear fan power cables from the control board. Don't worry about the order or placement of the connectors - when you reattach them later they can go back onto either connection. Remove the rear fan grill by pulling the top of the grill towards the back of the unit. It will disconnect and then stop moving once you've pulled it back about an inch and a half. Then pull the rear fan grill up to completely remove it from the case. That's it! Your Obelisk Slim is disassembled. 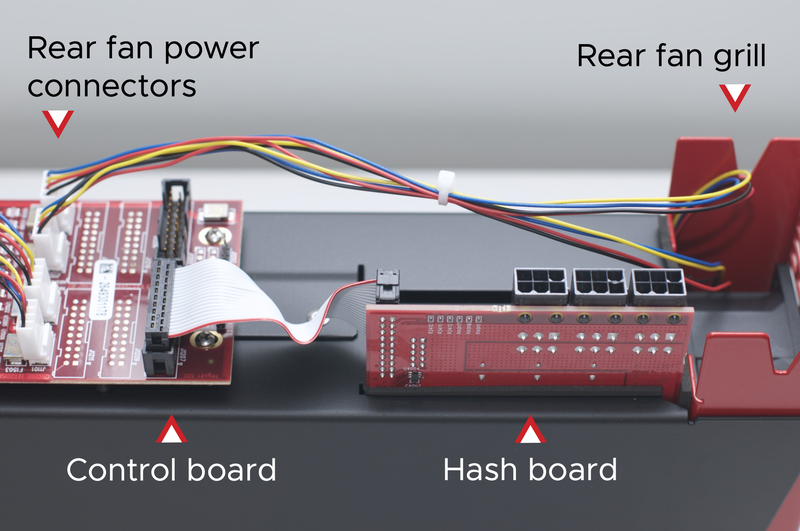 You might be looking to remove or add a hash board, restore the firmware on your miner, or work with your unit's control board. You can also jump to our reassembly article to get it all back together.